PARSIPPANY, N.J. (December 10, 2018) – A new season for IMSA WeatherTech SportsCar Championship begins in January and Paul Miller Racing, the reigning GTD class champions, will return to the series in 2019 to defend their title. 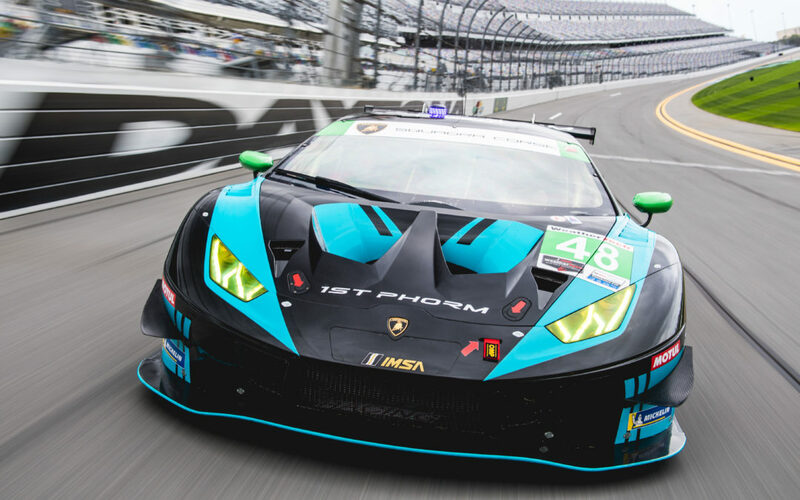 Sports nutrition company 1st Phorm International has joined the team as the primary sponsor for the upcoming season, which will see the team return to competition in the new Lamborghini Huracán GT3 EVO. TOTAL Lubricants will support the team for a third season as they defend their 2018 title. Champion Bryan Sellers will return for his fourth year with the team, to be joined by 2018 Lamborghini Super Trofeo North American and World Champion Ryan Hardwick. Corey Lewis, also a 2018 Lamborghini Super Trofeo North American Champion, will reprise his role at the team as an endurance driver in the Michelin Endurance Cup. Paul Miller Racing enjoyed great success in 2018, earning eight podiums in 11 races to clinch the GTD Team, Driver, and Manufacturer Championships. 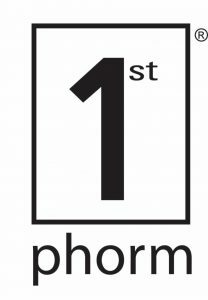 New sponsor 1st Phorm is no stranger to motorsports, having signed as a title sponsor of Gold Rush Rally for five seasons, as well as a partner with Dream Racing Motorsport in the 2018 Lamborghini Super Trofeo Series. That partnership was also formed with Mountain Motorsports, one of the largest retailers of motorcycle and powersports vehicles in the nation. Together with 1st Phorm, Mountain Motorsports will come on board with Hardwick as a new sponsor for Paul Miller Racing in 2019. In anticipation for the upcoming season with Michelin as the new GTD class tire manufacturer, this week the team will complete a one day tire test at Daytona International Speedway. The team will return to Daytona again in just a few weeks time for the Roar Before the 24, the first official series-wide test of the 2019 season. The 2019 champions will appear at the January 4 to January 6 test with the new livery for the No. 48 Lamborghini Huracán GT3. The first race of the season will take place January 26, the Rolex 24 at Daytona. For more event and series information, visit www.imsa.com. Backed by a wealth of experience and talent and a long history of success, Paul Miller Racing began competing in professional sports car racing in 2010, running in Grand Am and the American Le Mans Series. Paul Miller has extensive experience as both a driver and team owner. He led the Porsche factory effort in Trans-Am Series racing in the 1980s. He was also a leading IMSA endurance racer, driving with sports-car stars Bob Akin, Brian Redman and Hans Stuck. He competed in the 24 Hours of Le Mans three times and in the Rolex 24 At Daytona nine times, topping the GTO class in 1988. Paul Miller Racing’s international crew have worked at all levels of sports-car racing, bringing a world of expertise to the team’s operations. In 2018, with Lamborghini Squadra Corse the team became the IMSA WeatherTech SportsCar Championship GTD class team, driver, and manufacturer champions. Paul Miller Racing is based in Buford, Georgia with satellite support coming from Parsippany, NJ. The team’s technical operations are year round and official team testing is primarily conducted nearby at their home circuit Road Atlanta. The team also retails driver coaching services, aftermarket street tuning and upgrades, ride-along and race weekend experiences, and official team gear.